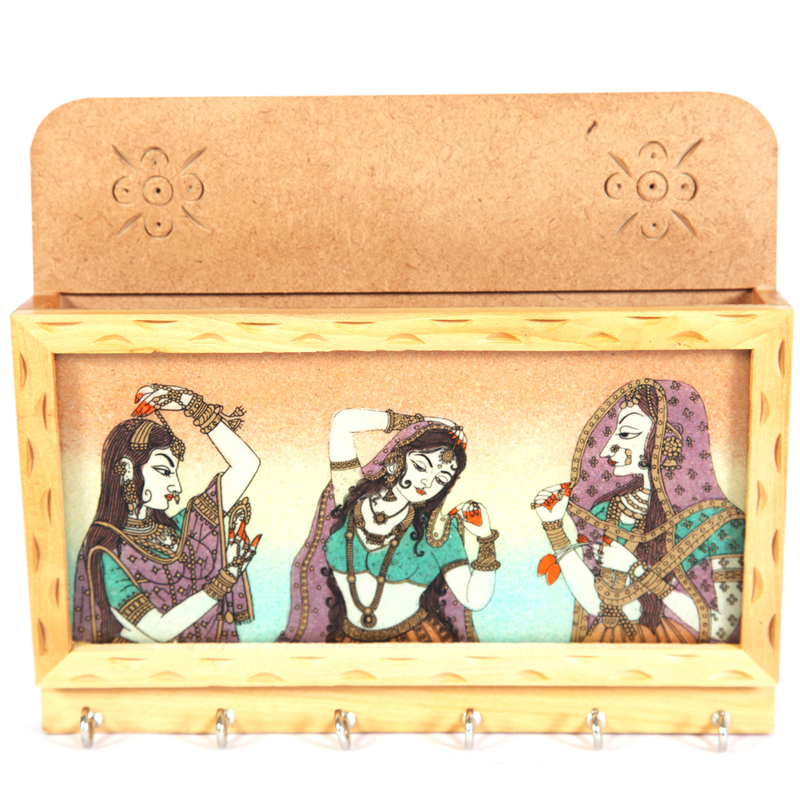 This wooden key holder is a magnificent one with the image of three traditional women painted on it. It makes a good wall hanging. It Read More..has 6 key holders and this has hooks attached at the back, so that they can be fixed on the wall easily. Intelligent use of colors make it look aesthetic and beautiful. It can be used in offices, houses or can be used for gifting purposes a s well. Show Less..